Concrete is one of the key building and construction materials used across the world. Generally, concrete is considered more sustainable than several other materials for constructing buildings. However, this does not guarantee that all buildings made of concrete will last forever, without experiencing any defects. In fact, there are several threats to the strength and appeal of concrete, which can easily compromise your building if you do not how to take good care of it. Water intrusion is one of the main threats that can significantly jeopardize the integrity of concrete. Thorough concrete waterproofing can effectively hinder several elements of damage to the structure including, water intrusion and moisture. It provides a better protection against the accumulation of moisture and water seepage through the walls, ceilings and floors. In this way, you will be able to avoid faster deterioration, rotting of wooden structural components and corrosion in metallic features of the building. This will in return, make sure that your structure remains stronger for longer. Without proper concrete waterproofing, your building can be vulnerable to leaks and even cracks. Whenever these occur, dampness will be experienced in the affected parts. Dampness or moisture accumulation provides an ideal breeding ground for molds and fungus, which can cause serious health conditions. Proper concrete waterproofing on the other hand, will keep the building dry and free from all these health risks. Since thorough concrete waterproofing can effectively withstand causes of structural deterioration and damage like, water intrusion, you will not be subjected to constant repairs and maintenance on the building and your belongings. Besides, concrete waterproofing can also provide better insulation, thereby reducing electricity or energy costs in the long term. For owners of commercial buildings, these can ensure lower operational costs for profitability. Effective concrete waterproofing can provide better protection against key agents of structural damage. 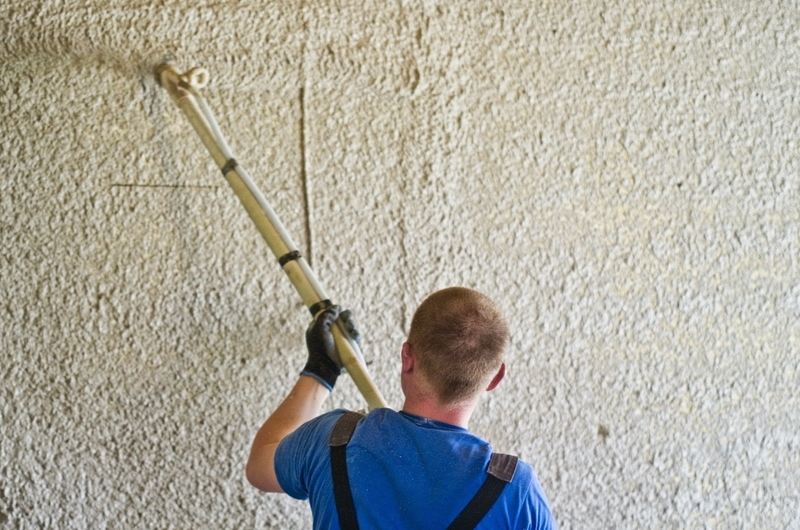 As a result of this, your building will be able to maintain its aesthetics and strength for the longest period of time. In fact, proper concrete waterproofing is an integral property improvement procedure that will enable you to fetch better prices in the market during re-sale. If the property is properly waterproof, buyers will not even think twice about obtaining it. Despite the relative durability of concrete, it is also porous. This means, concrete can easily allow water passage and accumulation of moisture therein. Although concrete waterproofing is the most suitable approach to ensuring that your building is able to withstand all these threats, successful results can only be achieved if the procedure is performed right. At Waterproofing Singapore, we always pursue a unique approach in every concrete waterproofing project to ensure that you are able to achieve tailor-made and lasting solutions. Whenever you acquire our concrete waterproofing services, our company will first send a team of waterproofing specialists to examine the site or property. Although most cases of water intrusion on concrete are usually easily visible from both in and out of the building, there are several defects that may not always show signs of damage. That is why we always recommend and perform inspections on all buildings that we work on. Through the inspection, we are able to diagnose all the waterproofing problems on the walls, floors, ceilings and other parts. Our company has a well-established network across Singapore and, will send experts to inspect your site on just a short notice. After the inspection, we will discuss with you about the recommendations. The recommendations are presented in the form of a free quotation, which will clearly indicate all the concrete waterproofing procedures that will be applied as well as related costs so you know exactly what to expect. In case you may have any special needs, our professionals will also take them into account and, advice on the most suitable approaches. There are diverse concrete waterproofing approaches that we can pursue in terms of waterproofing materials and methods. But, the particular waterproofing materials or methods for your project will be based on the threats being faced as well as your demands. The main waterproofing materials and techniques that we specialize in include, liquid waterproofing, cementitious waterproofing, waterproofing sealants, waterproof paints, bitumen waterproofing, bentonite waterproofing and rubber waterproofing. We also use quality concrete wall waterproofing membrane, liquid waterproofing membrane, and foundation waterproofing membrane. To know more about waterproof membrane, check out our blog article on what is waterproofing membrane. While performing concrete waterproofing, we are always keen on hindering water intrusion, accumulation of moisture and hydrostatic force, responsible for creating cracks. Due to our expertise in waterproofing, we can waterproof concrete from outside, inside as well as within. We integrate various recommended modern concrete waterproofing technologies for better cushioning against water intrusion and other elements of structural deterioration. Despite the condition of your building, budget and needs, we always guarantee the ultimate solutions. We also uses the latest crystalline technology for concrete waterproofing. In order to easily avoid the hassles of finding concrete waterproofing services in Singapore, talk to us. We can prepare and deliver an accurate and customized concrete waterproofing estimate at your convenience. By choosing our company, you can always be sure of the most reliable and affordable concrete waterproofing solutions.